Paying Ready Attention: A dream comes true. The flight attendant sounds as bored as I feel. My legs don’t feel at all, although, bizarrely, my feet ache. You know it’s a long flight when breaking the “four hours to go” barrier feels like an achievement. The engines drone. The pages of a book flick over, their contents read but immediately forgotten, a process that passes time but brings no enjoyment or understanding. It reminds me of RE at school. For some reason I stifle a yawn. Three hours and fifty-eight minutes to go. Sleep. Film. Angry Birds. Read. Dubai! (Brief relief) Hurried transfer. Muscat, Oman. Ah – a shower beckons. No Bags. A shower recedes. Relief recedes. Stress gives me an energy hit to counteract the lack of sleep. After twenty minutes of fruitless searching I give up and come to the fogged brain conclusion that my bag is taking an extended break in Dubai, while I, smelly from too long in the air, have moved on to Muscat. I’m given a pale printed lost baggage receipt and a promise that the bag will arrive soon. I treat the first like gold dust and the second with scepticism. The taxi feels surprisingly spacious with so few bags. My companions resist making the obvious joke, so I make it for them. We all fall silent as the taxi pushes past 140 kmh and flirts with 150. The engine and gear box squeal in protest. I try to ignore the constant beeping of a speed alarm. It’s difficult. The airport is ring fenced with building sites, new roads and bridges linking apparently empty sand to almost identical pieces of empty sand. Later I learn this is all part of the Sultan’s response to Oman’s brief Arab Spring. “We want jobs!” was the demand and “Infrastructure” was the response. Vast piles of sand dot the worksites, compacted berms of pale dust pushed by the bright yellow engines of industry. My memory flashes to childhood sand pits and Matchbox diggers. There are few plants, fewer rivers and next to no shade. Wide drains seem to speak of days of weather I can’t imagine. Behind the JCB dust clouds, lines of hills – mountains maybe – flow along next to the coast. 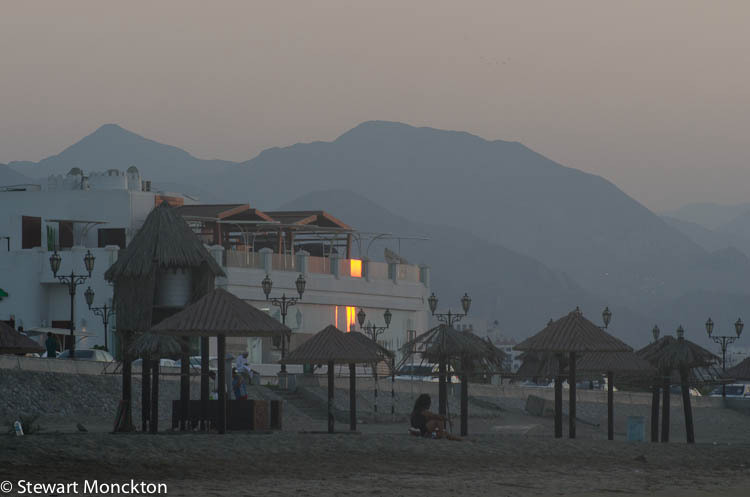 Muscat is a city hemmed by hills and waves – long, but thin. The soil, even the rock, looks open, dry and thirsty. The hills could drink all the water in the world and still ask for more. Yet closer to town many of the roads are flanked by strips of luminous green. Grass coaxed from the ground with hand held water pipes and the detailed care of people in blue boiler suits. This seems like a denial of nature, but with near limitless money I suppose you can ignore the need to be real. For today at least this may be possible, but I have to wonder about tomorrow or the next day. It’s clear from the outset that Muscat is not Dubai. Dubai is all thrust and mismatch, pale needle thin spires that reach ever upwards, great slabs of glass shaped like boats squeezed between pillars of steel. It’s Blade Runner, with sunlight, no rain and (as far as I am aware) no killer replicants. Muscat sits at both a lower and a higher level than Dubai. Physically all its buildings are much, much lower. Some form of legislation is in place that restricts the height of new buildings; nothing (with one possible exception) towers over you, although that does not mean the buildings are not impressive. The buildings in Muscat seem to share a common architectural language that is missing in Dubai. They may be low to the ground, but they have a far higher degree of connection. Dubai’s buildings are all “look at me” sort of things; they hold the eye by sheer force of individual difference and eccentricity. Muscat’s buildings have a more collective appeal. The conformity highlights rather than hides the differences, and the building to building continuity grounds the whole townscape in a single space. It takes far more care to create differences when the starting point is always the same. For all the modern freeways being built, Muscat feels gentle, although I doubt the builders and gardeners in their all encompassing blue boiler suits would necessarily agree. We drive along the coast for a while and pale, white gulls float on the sea breezes. Flocks of waders bubble up from the water’s edge. I wonder what species they are and think about my guide book. It’s in my bag. It’s still in Dubai. Two-tone crows, black and silky grey, pick at beach wash and hang around the hotel car park in loose, talkative, groups. Long tailed parrots, with rapid, blurring wing beats, land on window ledges and roof racks. Swallows flicker through the shade of the hotel entrance. In the distance a large bird of prey swings round and round and round, soaring in a column of hot air rising into the cloudless blue sky. My bags as still on holiday as I shuffle into the back seat of another taxi. Even with the limited self awareness of jet lag I know I need some new clothes. It may have been better if I had sat in the front seat. Trying to register for the conference turns out to be a waste of time: the information in the programme is as wrong as wrong can be. Wrong place, wrong time, just plain wrong. My sense of humour is stretched very, very thin. And then something happens that bursts through the sense of gloom. 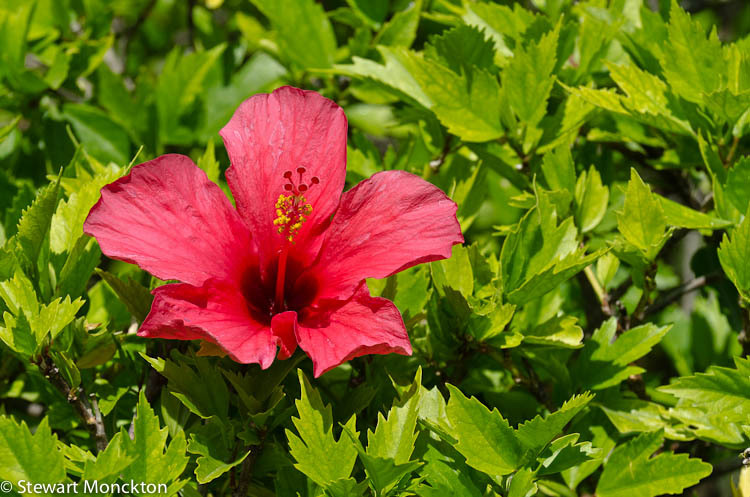 Outside the hotel are hibiscus bushes, bright red flowers and dense shiny leaves. But that’s not it. It’s what’s under the bush that pushes away the grey gloom. 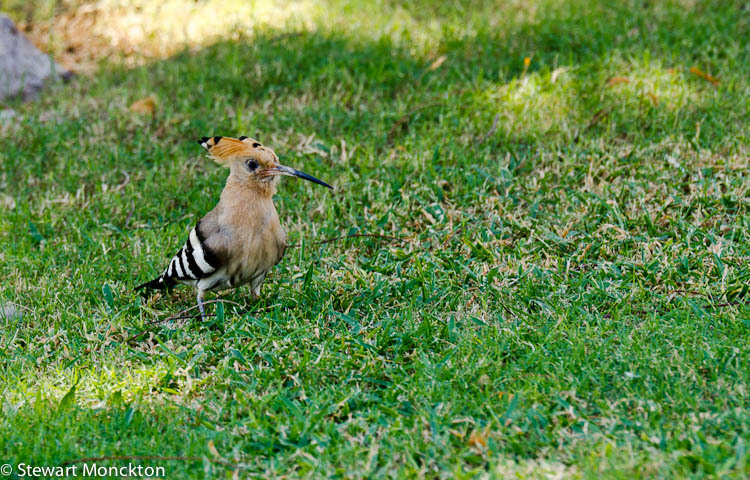 It’s a hoopoe. The main body of the bird is an orange hued pink, the wings barred with black and white stripes, its bill sharply downturned. The rarely raised crest points back from the crown of the head like a comic blur of motion. It’s a lifer for me, but that’s not the point. The real point is that this is a bird I have wanted to see for the best part of 40 years. And here it is, in a hotel car park, under the punch bright sun of an Arabian sky. It’s a long way from Somerset. 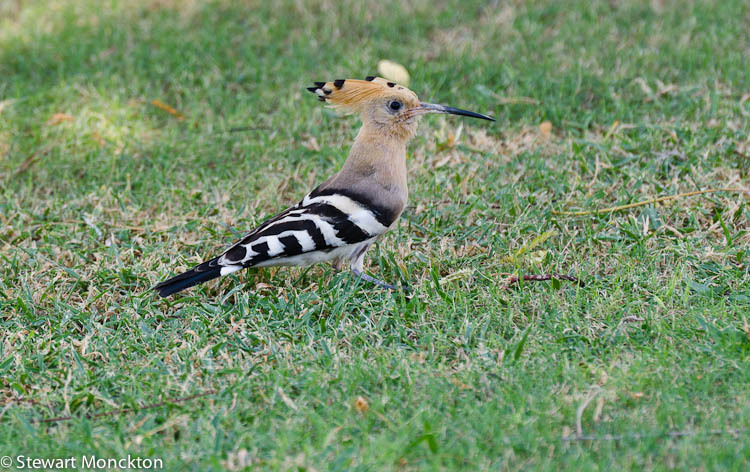 As a kid I would look at the few bird books I had then – The Observer’s Book of Birds and the Eye-spy Book of Birds – and wonder if birds like the Hoopoe were real, or whether they were just figments of ornithological imagination. How could they be real when most of the birds I saw were sparrows, blackbirds and pigeons? I would go out into the fields around my village with the hope that I would return with a prize catch, but it never happened. I may as well have looked for the Phoenix or the Roc as a Hoopoe. They were the kind of never bird that made you keep looking. 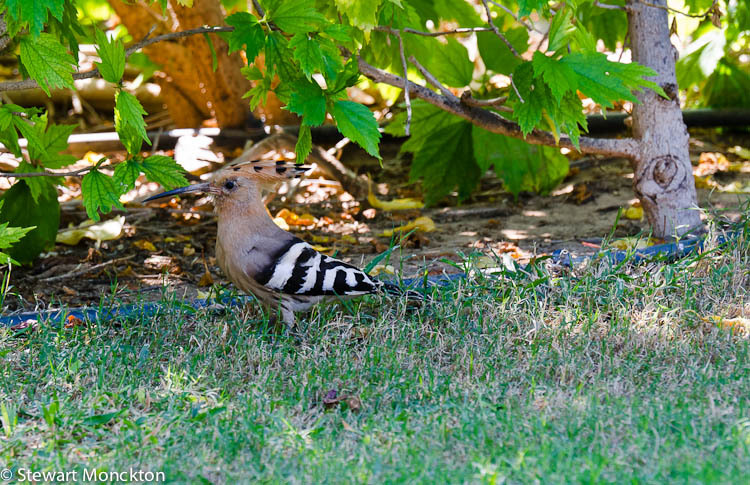 Even when birds were on the back-burner and I fished I didn’t forget what a hoopoe looked like – and the flash of a kingfisher or the chess board bob of a dipper kept birds alive in my head. But I never saw a hoopoe. Until there was one under the bushes, by a busy road in Oman. 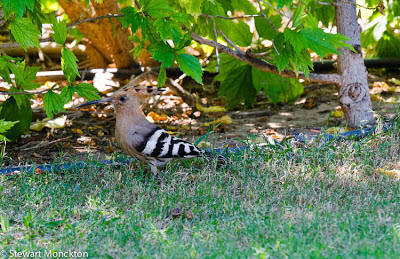 Clearly it’s a distinctive bird, but there was never any possibility that the bird in the bush was anything but a hoopoe. There was an instant rush of recognition and that strange and rare feeling of a wish come true. Seeing this bird won’t change the course of my life – it’s not that kind of wish – but it reinforces the truth that sometimes, under special and remarkable conditions, wishes can come true. The hoopoe cooperated enough (just) to allow for some pictures before it floated off into the distance, through the traffic, on short rounded wings. I tried to explain to my work mates why this was a red letter day, why this would be a day to scribble a big star in my diary, but while they seemed to understand each individual word I was saying, I was talking another language. You either know why this is important or you don’t. If you do understand you are probably already a birder, and if you don’t understand I feel sorry for you. 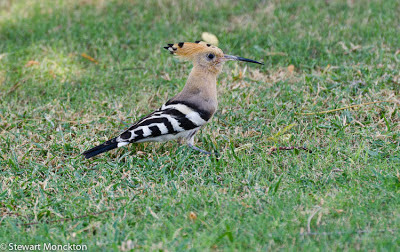 In the late afternoon my bag arrived and I’d be lying if I said that did not rank almost as highly as the hoopoe. That evening I watched the sun set over the long bay of Muscat. 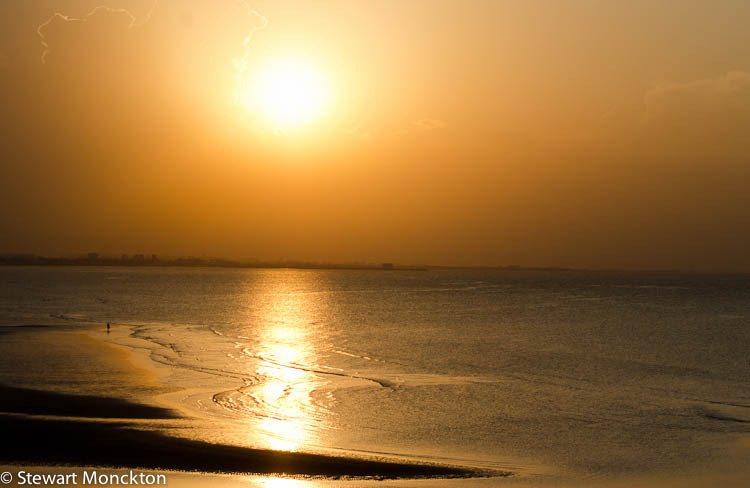 The sky and the sea turned gold as the sun sank behind a jagged line of clouds. It hung like a broken orange segment slowly slipping behind the curve of the Earth. The short dusk wrapped us quickly in darkness. It was day’s end, and I had many reasons to smile. We had a hoopoeturn up in Allonby about 5 years ago. Village was full of twitchers but I dipped on it. Saw one in Portugal - they are indeed stunning. Share your pain with the missing case. Some pillock packed a red suitcase and apparently forgot the colour on the 2 hour flight home because he took my black one from the carousel. I remember those I spy books very fondly. 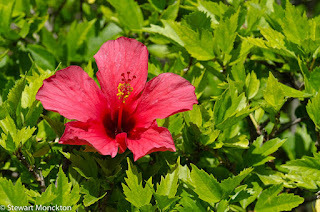 I was into wild flowers and can still remember the names of some of them. I wonder if they are still around. Glad to hear you were reunited with your luggage. Great tale Stewart, You know I love your verbalisation and this is completely within my own experience except for the Hoopoe bird, where I can only say 'if only'. 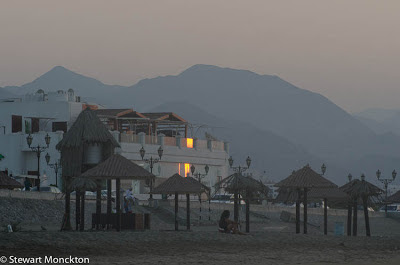 If you were staying in Muscat by the sea, you must have been in Old MUscat. Did you per chance stay in the super posh hotel with the terraced gardens that only the very wealthy German tourists could afford and we only had a glimpse at the opulent foyer. We were indeed kind not to comment on the misplaced bags. That is indeed a magnificent bird. I hope they find your luggage soon. Oh yes you did have many reasons to smile!! Thanks for sharing more of the story -- (it made ME smile!) I hadn't ever heard of a hoopoe until reading your other blog...it seems almost as improbable as seeing a bird out of a Dr Seuss book! I'm just happy to have seen it virtually. The silver lining shows up again!!! 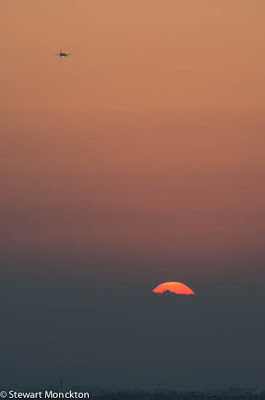 I am a bit late reading this post, but want to say that I very much appreciate you sharing the pictures...When I was a teenager in the late 1980's, I read an epic novel called "The Source," which depicts the events that occur on a piece of land in Israel from prehistory all the way to the 20th century. One of its chapters is called "Psalm of the hoopoe bird," and to this day I remember reading it and wondering if I would ever see, rather than merely read, what a hoopoe looks like...Thanks to you, now I have!